In this page circle passing through three points we are going to see example problems to find the equation of a circle if three points passing through the circle is given. 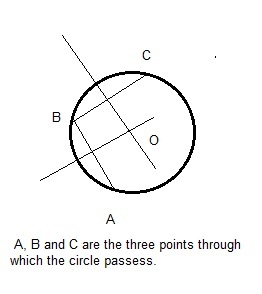 Find the equation of a circle passing through the points (0,1) (2,3) and (-2,5). Following are the related topics related to circle passing through three points.